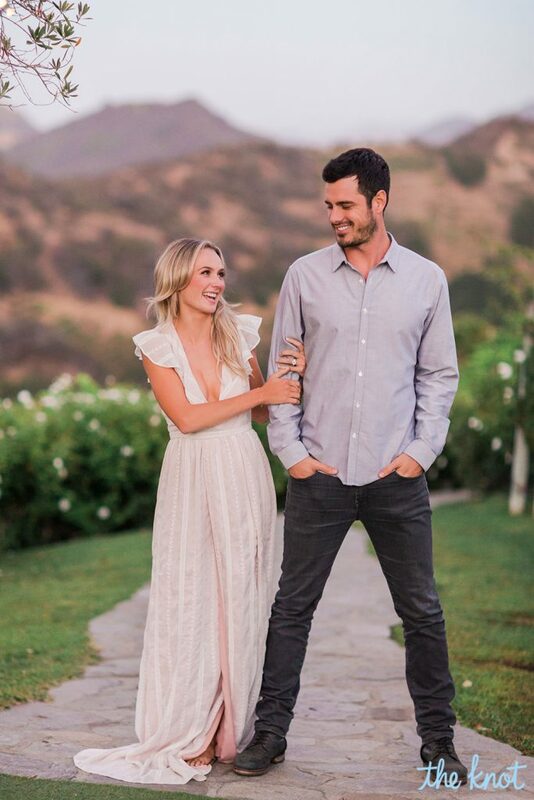 The bohemian, flutter-sleeve dress that Lauren Bushnell modeled for her gorgeous, outdoor engagement session with Bachelor Ben Higgins is finally available for purchase. 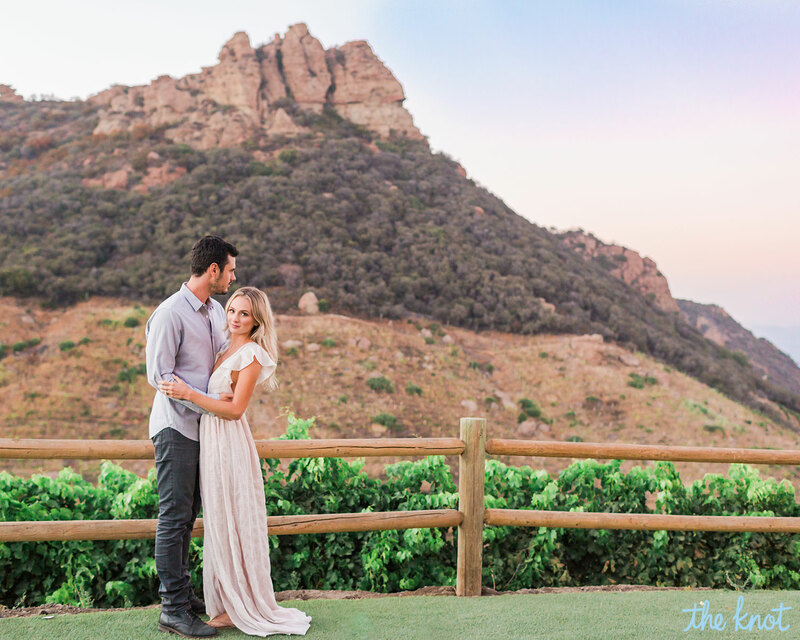 Bushnell and Higgins opted to capture their engagement photos on the dreamy, lush grounds of famed Malibu venue Saddlerock Ranch, where many celebrities have exchanged vows. The blogger—who wore several sweet dresses during the duration of the shoot with photographer Valorie Darling—chose one particularly-memorable dress by The Jet Set Diaries that was perfectly suited for the vineyard setting. The ivory and blush piece—a crinkled chiffon gown that features flutter sleeves and tiny embroidered blossoms—is listed on the David’s Bridal website for $289.95. The item also includes a deep plunging neckline and back, and a back zipper for easy fittings. Along with the Jet Set Diaries gown, Bushnell also wore the Selma Dress—a printed maxi—from ASTR’s 2017 resort collection. She had a third dress swap by opting for a piece by Roe and May. 1 Comment on "Lauren Bushnell’s Dreamy Engagement Dress Is Finally Available"